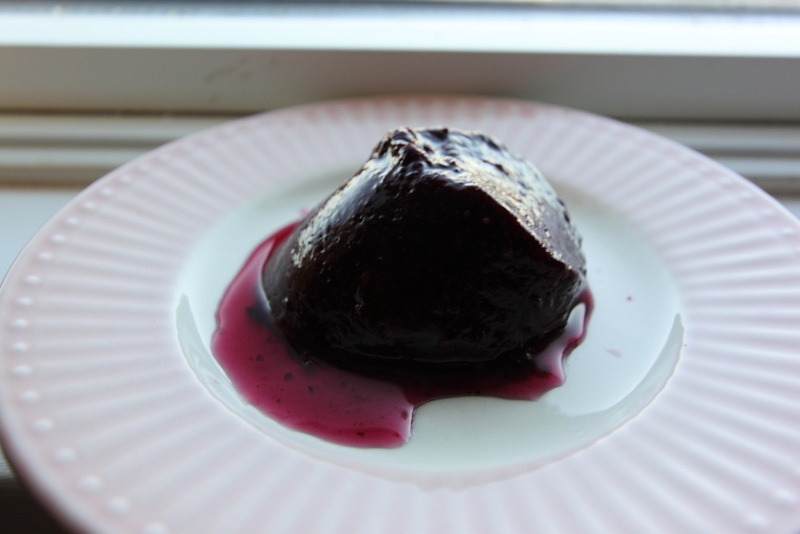 Have you every wondered why your blueberry smoothies sometimes turn to jello when you let it sit?? That’s because ripe blueberries contain natural pectin, a substance found in fruits that help make the wonderful texture of jams and jellies. Pectin is a carbohydrate found in the cell walls of fruits and vegetables. When pectin is cooked with sugar and acid like lemon juice, it solidifies and becomes more solid. Oddly unripe apples still have the most pectin than most fruit and are commonly used in addition to berries when making jam. 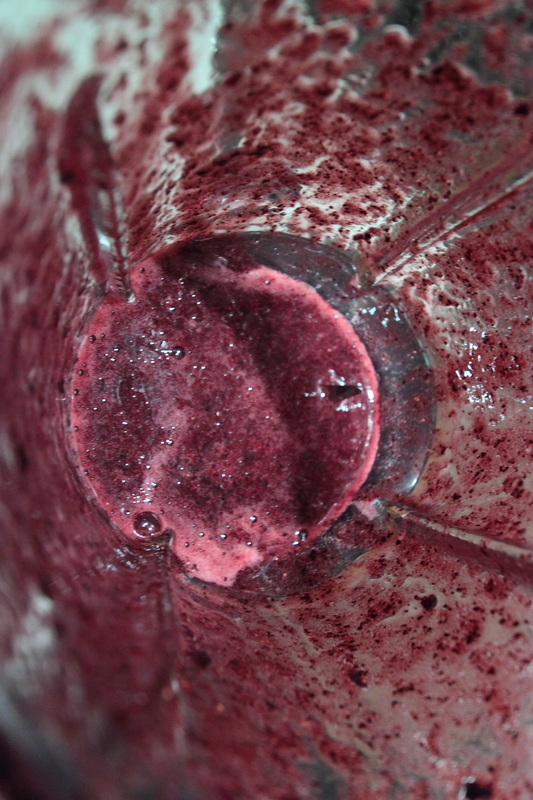 I wanted to show you what happens when you use fresh ripe blueberries in smoothies. 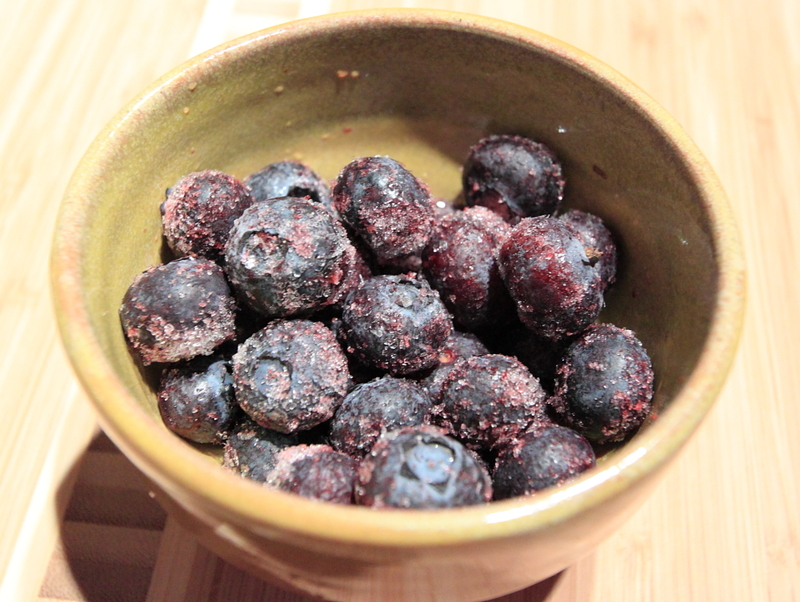 I added some blueberries in the blender and pureed it. Pour it into a cup and let it sit. 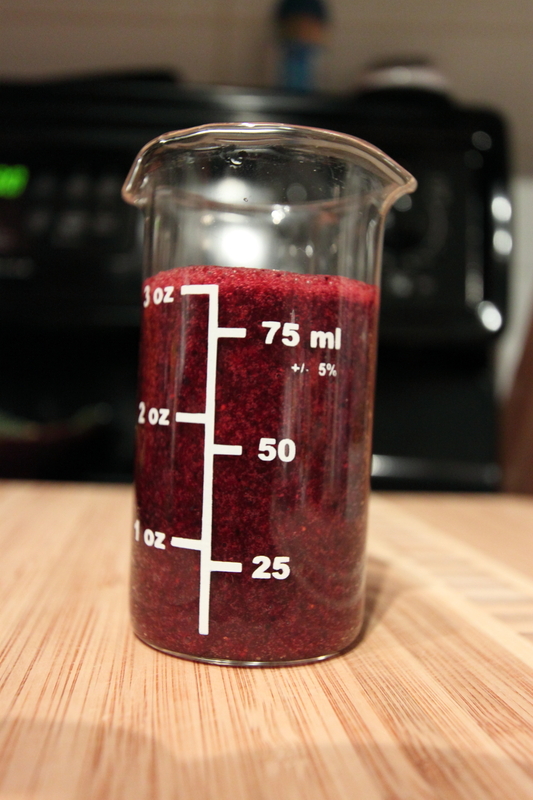 This helps the pectin molecules bond to each other and causes a gelation of the liquid. Notice as soon as the blueberry mixture was poured out, it looks a lot like liquified jello! With some heat and a bit more acid and sugar, you can increase this effect. The heat causes the pectin to release from the cell walls and as it cools, the pectin molecules bond together. That’s why berry jam normally contains lemon juice and lots of sugar!! 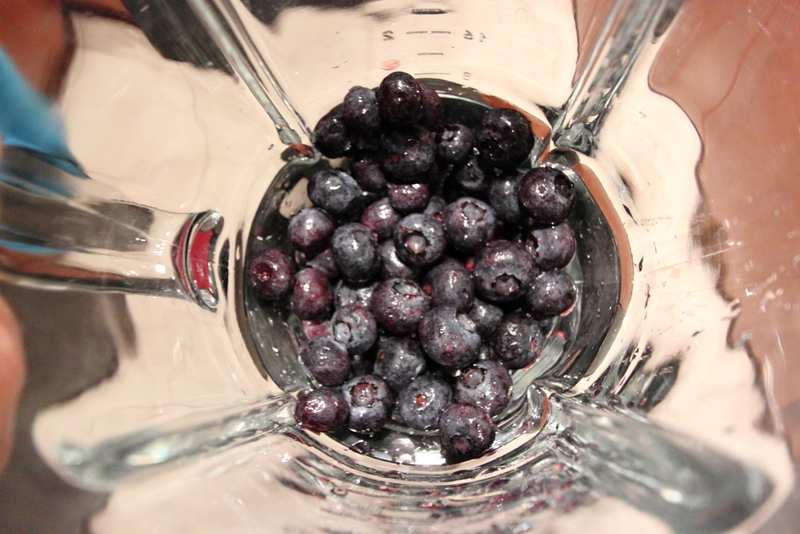 The next time you host a party, make some blueberry smoothies and serve them right away. Watch the reactions of the guests who don’t drink their smoothie right away! !